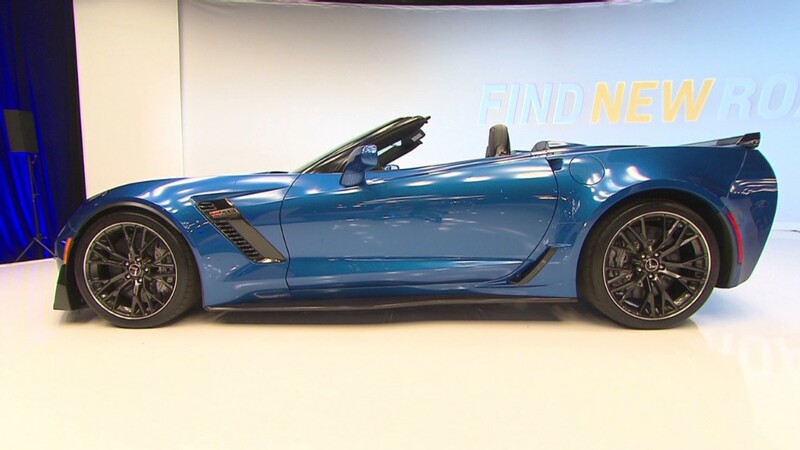 General Motors officially unveiled what the automaker is calling the fastest convertible car it has ever produced at the New York Auto Show Tuesday. The Chevrolet Corvette Z06 convertible is a rag-top version of the hard-top Z06 GM unveiled in Detroit in January. With at least 625 horsepower, GM claims its performance will be virtually the same as the hard-top Z06. Ordinarily, it's a challenge to make a convertible version of a car with this much power. That's because, without a fixed roof, the car's body will flex and twist too much during high-power acceleration and hard cornering. In other convertibles, engineers will often add heavy structural reinforcements to the body or even reduce power output. 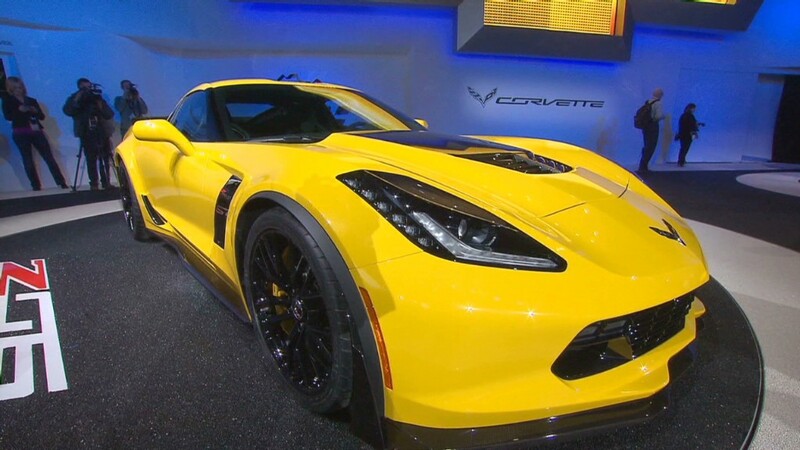 In the case of the new Z06 convertible none of that was needed, GM (GM) said. The hard-top Z06's aluminum structure is already 20% stiffer than the structure underlying the previous version of the Z06, which was not available as a convertible. GM credits computer-aided engineering with the ability to create the super-stiff frame. The computer programs "allowed us to model more than 17,000 frame iterations, with each iteration improving strength and stiffness, while reducing mass," said Ed Moss, engineering group manager for Corvette structures. The new Z06 convertible will be capable of accelerating from zero to 60 miles an hour in under 3.5 seconds, according to GM. The car's cloth top can be opened or closed at speeds of up to 30 miles per hour. Powered by a 6.2-liter V8 engine, the Z06 will be offered with a choice of either a seven-speed manual transmission or a new high-performance 8-speed automatic transmission. As in the base Corvette, the automatic transmission will have shift paddles mounted on the steering wheel, giving the driver the opportunity to select gears manually.